Ook Padded Pro Picture Hangers won't damage your walls! A precision channel assures that the nail enters at a 45° angle. 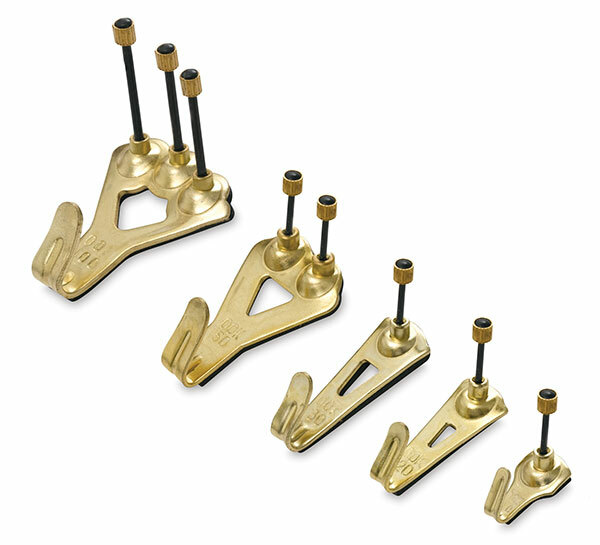 The hangers feature a reinforced elbow for balance and a knurled head for easy nail removal. Tidy Tins — Each Tidy Tin contains 10 sets of Padded Pro Picture Hangers with nails.